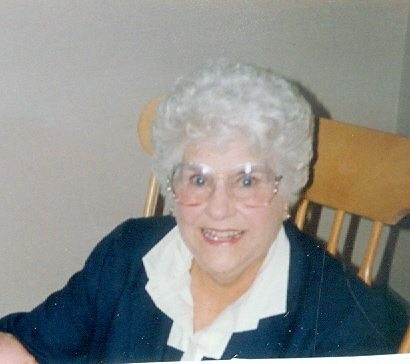 Marian Lois (Thurston) McCracken, formerly of Jersey Shore, Pa. and a resident of The Highlands Care Center, Laporte, Pa., passed away just after her 97th birthday on April 13, 2018. She was born in Ulysses, Pa. to Cora (Lebaron) Thurston and Francis “Leo” Thurston on April 12, 1921. She and her siblings moved to Jersey Shore where later she graduated from the Jersey Shore High School in 1939. She leaves behind her husband and lifelong partner, Hobert W. McCracken, who is also a resident at The Highlands Care Center, Laporte, Pa. (He is fast approaching 101 years old.) She also leaves behind two sons, Jon H. McCracken and wife Bobby Jo, of Laporte, Pa. and son, Michael McCracken and friend Ellen, of Kissimmee, Fla.; three grandchildren, Jon David McCracken and wife Lori (Weaver), of Mill Hall, Pa.; granddaughter, Susan (McCracken) McQuillen and husband Brian, of Williamsport, Pa.; grandson, Robert McCracken, of Connecticut; also seven great-grandchildren; and two great-great-grandchildren. Marian grew up during the Great Depression and had an integral role in that time. During The “Cold War” in the ’40s and ’50s Marian volunteered well over a thousand hours in what was known s the “Ground Observer Corp.” Off shoot of all those hours manning her post was the package of cinnamon rolls one local baker produced and a great treat for us every Thursday. One of Marian’s best friends was the daughter of Prince Farrington, “Gladys Farrington” Porter. He was well known for the excellent bootleg whisky during prohibition period, and the stories told to Marian were both fascinating and sad. Marian became an excellent cook and baker much to Hobert and the boy’s taste buds. She was a lifelong member of the First Presbyterian Church in Jersey Shore, she sang many years in the choir, and enjoyed immensely the church group of younger men and women, the “Terians”. She was a friend to many, loved bowling, fishing, swimming and over all things she loved “Pine Creek” where her and her husband owned a cabin in the mid-’60s and they spent much of their time there until the bad flood of 1972 ended their time on the creek and also took the home in Jersey Shore. They then moved to Loyalsock Creek and spent 38 years until the flood of 2011 took away that home too. Marian was predeceased by her parents; a brother, John Thurston; and a sister, Marguerite Shay. Services will be Friday, April 20, 2018, at the Rearick-Carpenter Funeral Home in Jersey Shore, Pa. Viewing at 10 a.m.; services at 11 a.m. with burial at Rest Haven Memorial Park. To share your memories of Marian or condolences to the family, please visit www.rearickcarpenter.com.